I’d never been to media day with the Texas Legends before. I’d never been to any media day before. I didn’t know what to expect. Will I be holding my Dictaphone over the shoulders of a rummage of reporters? Will I be slightly caught on camera during an interview so that only my left ear will appear on the nightly news? Will I get a hot dog and a beer before I leave? What I found very quickly was that it didn’t seem too far off from speed-dating. The problem was that I’ve never done actual speed dating before either, so just go with the metaphor and picture how far out of my element I was. I sat in a chair with two empty chairs in front of me and waited for the players to sit down for a few minutes’ worth of a little chit-chat, a little banter, a little mildly rousing repartee. But how would it go? What was my approach? I wore a sensible pair of khakis, but then questioned if I should’ve shown more leg. I parked my modest truck in the parking garage, but then wondered if I would’ve been better off sitting on the hood of a Trans-Am with the T-Tops off outside the arena blaring “Jessie’s Girl” to really turn some heads. Should I tell them I already have kids, or do I see if there’s a second date first? Will they offer me a rose? I didn’t know. I asked 14 out of the 15 players on the roster at the time some general and specific questions to hopefully create a comfortable “gettin’ to know ya” sort of vibe, and while fielding different answers from each there was one constant from all. These guys love to play basketball, and they’d love for the city of Frisco to love to watch them play basketball. So let’s get to know each other a little first. For those who need a very baseline introduction, the Texas Legends are a part of the NBA G League, formerly known as the National Basketball Development League and NBA Development League professionally and the D-League casually if you’re cool in an effortless sort of way. It came to be the G League both professionally and casually when Gatorade became the title sponsor last season. Think of it as a minor league for the NBA with the Texas Legends affiliated with the Dallas Mavericks. All but three NBA teams have a G League affiliate team. I used to be a season-ticket holder during the first two years of the Legends’ existence because I love basketball, I love the Mavericks, and I love sounding like a big shot and bragging about having season tickets to stuff. 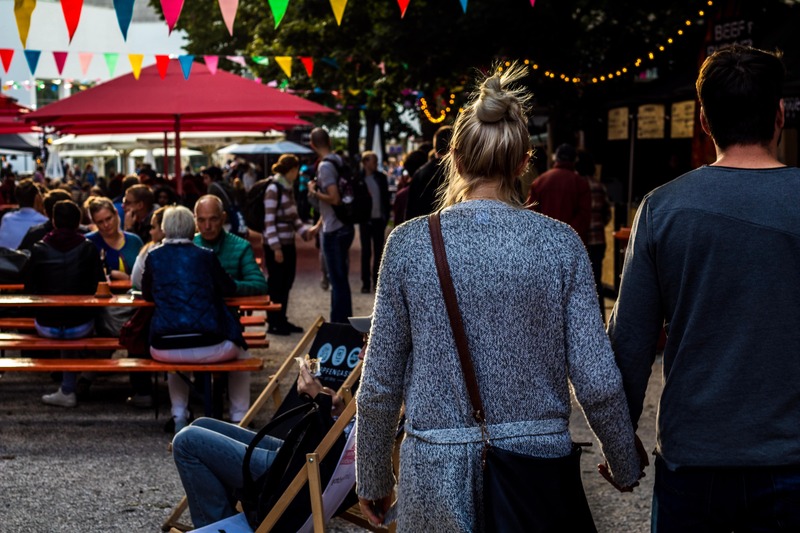 I used to take my (at the time) five-year-old daughter, and she had more fun than I did with its family-friendly, kid-centric atmosphere. It’s wallet-friendly and budget-centric too with tickets starting at $10, and there’s not a bad seat in the house unless you’re next to an annoying fan of the other team. “Why aren’t you still a season-ticket holder, Brandon?” I’d appreciate it if you stayed out of my personal affairs, thank you, but if I had them again I’d brag about it even more. Ok. Things are going well, and I’d like us to get to know each other better. 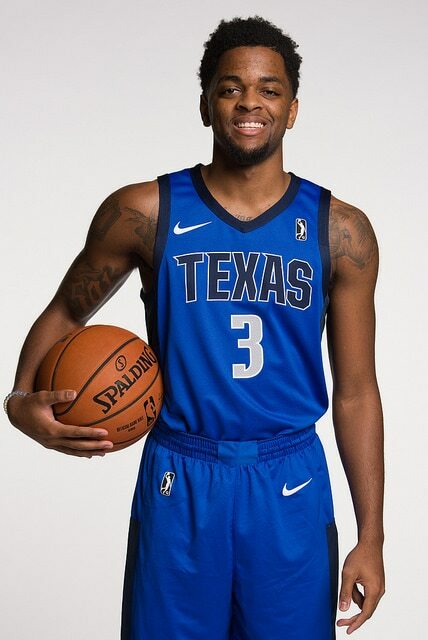 So let’s talk about the 2018-2019 Texas Legends specifically. I can’t stress this enough: these guys love to play basketball and tirelessly work on honing their skills and perfecting their craft to achieve their dream goal of making an NBA roster. 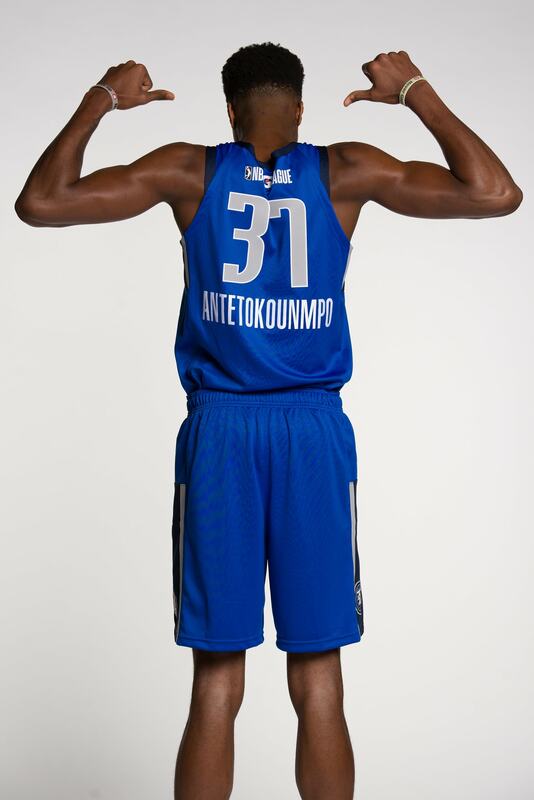 But for all the lottery-level dollar signs you might normally hear attached to professional athletes, know that the base salary of a G League player is $35,000 per season. The median per capita income for the state of Texas was about $29,000 annually in 2016 according to the American Community Survey. That last sentence was to put the players’ salaries into perspective while also showing that I can do research and cite sources while pretending to be a journalist. Some players make more than that based on tenure or especially if they are under contract with their NBA team affiliate. The players under NBA contracts but on a G League team are either on assignment, meaning they are part of an NBA roster but playing in the G League either to rehab an injury or simply to get more playing time to work on certain specific aspects of their game, or on a two-way contract. The two-way contract concept is only in its second season, and it allows an NBA team to select up to two players with four or fewer years of NBA service to spend the bulk of their time in the G League for growth and experience but can be called upon for up to 45 days to their NBA team. In other words, catch these Texas Legends players right here in your backyard while you can before they move an unfathomable 28 miles away to Dallas. Ray Spalding, a rookie drafted 56th overall last June, is the current player on assignment for the Mavericks. The two two-way players on this season’s roster are rookies Kostas Antetokounmpo (phonetically pronounced “Adedo-Koonbo” or by some unpopular people “Antay-tu-koompo”) and Daryl Macon (“Daryl Macon” phonetically). Things are moving really fast, but it just feels right, you know? It’s like we’re finishing each other’s … (this is where you’re supposed to say “sentences” out loud as you read this). I just hope this connection I’m feeling isn’t as ill-fated as when Anna agreed to marry Hans shortly after singing “Love is an Open Door” with him in the movie Frozen. What? I have two daughters. It’s an applicable reference. Go with it. 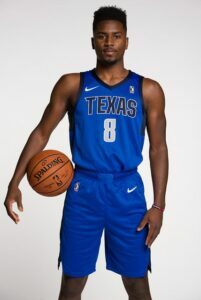 I spoke with Jameel Warney, a gold medalist with Team USA, who’s a Texas Legends veteran and has had a cup of coffee with the Mavericks. This gregarious gent even spent a season with the Anhui Dragons this past summer. I spoke with Yanyuhang Ding and his interpreter. I’ve never spoken to anyone through an interpreter except my teenager, and this time it was kind of cool. It was also kind of like when my parents used to scold me simultaneously and I wasn’t exactly sure who I was supposed to be looking at while the talking was going on. That aside, Ding, as well as most of the players, knows that once you toss the ball up, basketball is an international language. I spoke with Justin Tubbs, who has Google-worthy athleticism and has played in more countries than I could name on a map. I’m joking. I’m pretty good at geography, but it sounds better when I say it the other way. I mentioned the two two-way players and the assignment player, but there are plenty of other guys who are easy to fall in love with personally and professionally in a non-creepy stalker sort of way. Keith Hornsby and J.J. Avila are Legends vets who are easy to root for on and off the court. Rashad Vaughn and Codi Miller-McIntyre bring a well-rounded game that both the basketball enthusiast and novice can appreciate. Donte Ingram had madness last March leading his team all the way to the NCAA Final Four, and Xavier Johnson and Josh Newkirk round out the roster with youthful ambition and an infectious “I’m about to show the world” approach. Yes. A thousand times yes. I will accept this rose. You complete me. All the other clichés. I loved talking with these guys, however briefly our speed-dating media day went. I can’t stress this enough. They are easy to root for whether you watch them play or get a chance to speak with them. Some of them haven’t been in Frisco for over a month. Some are away from their families. Some have started families. Some have well-worn passports. Some just started shaving. All of them love to play basketball, and they’d love for the city of Frisco to love to watch them play basketball. I asked all of them how difficult it is to balance trying to play to promote how ready you are for the next level while also trying to play within a team concept for a common goal in that one game. The consensus response was when you win, everybody looks good. I would love for this team to look really, really good this year for many reasons, and you should too. 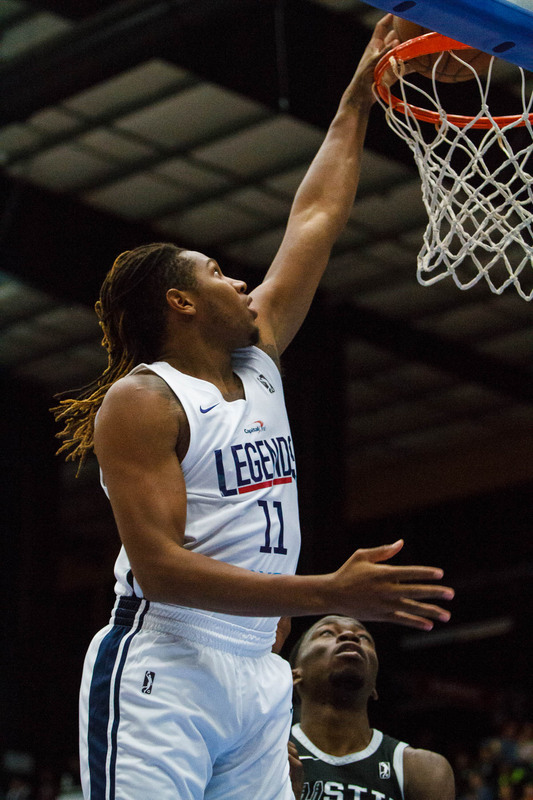 The Texas Legends held their home opener last Friday, November 9, and they’ll host Frisco ISD spirit night this week on November 14. 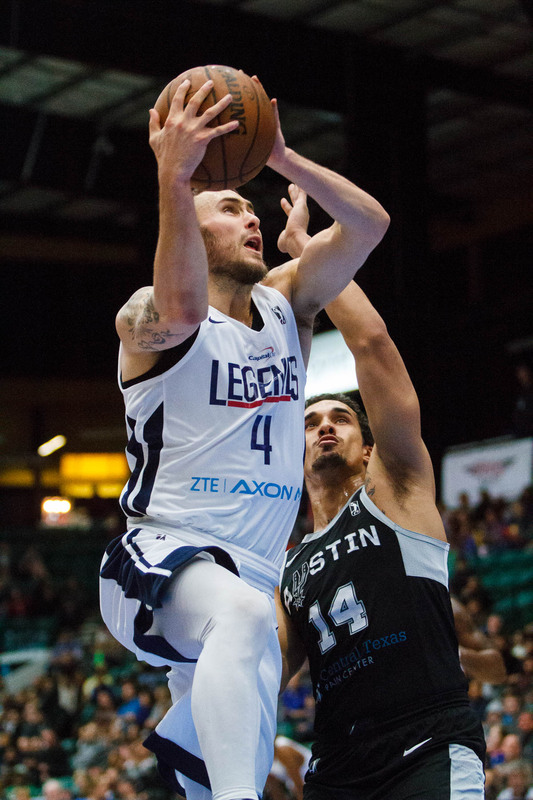 Connect with the Texas Legends online to follow their promotions and get tickets to this love fest. I never got my hot dog and beer, but I’ll make up for that at the next game I attend. I hope to see you there. I’ll be the one in the parking lot on top of the hood of a Trans-Am with the T-Tops off blaring “Jessie’s Girl” but still wearing sensible khakis to show my softer side. What an incredible article! I love your writing style…you had me laughing and smiling the whole way thru. I am not a basketball fan nor am I a Texan but you have converted me to cheering for this team. Great job!